I have LOVED this image/stamp from Some Odd Girl from the moment I layed eyes on it, and this week, I finally got my hands on it!! I made a couple cards with this image, I will post the other one tomorrow. I just love it and she totally makes me happy.....I wonder if it's because at one point in life I wanted to be a photographer for a travel magazine and just travel where ever the winds took me and take amazing pictures along the way. I think maybe yes!! Anyway, here she is, colored with copics, I used glossy accents on the camera, her shoes, and the polaroids. I also added stickles to some random dots on the pink paper but it's a little hard to see. Added a flower, gem, and some bling along with some line work. She's just a cutie! Beautiful!!! LOVING the colors and the banner!!!! What a cute image. Love the color choices too. Thanks for sharing with us at Artistic Inspirations. Good Luck. aw, this is so cute, sharla! 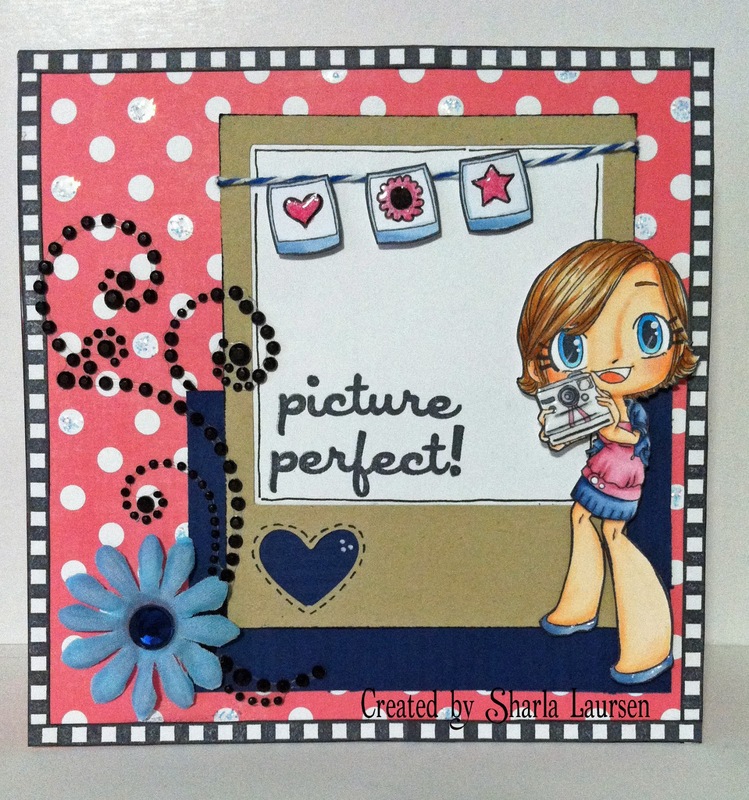 So cute and love the colours thankyou for joining our challenge this week at artistic inspirations. (Not Do) -- darn phone! Very cute card. I love colors and colouring. thanks for playing with us at Little Miss Muffet challenge. This is really a very nice stamp, so cheerful. Love how you created this 'photo' card. Thank you for joining our challenge at Crafty Catz and I hope you will come back again.